Global Golf Post, the world’s leading golf news brand, today announced that it would once again donate the funds for the greens fees of all finalists in the 2019 San Francisco City Championship. “As we have in the previous three years, we want to support this historically significant tournament and the players who compete in it,” said Founder and Publisher Jim Nugent. In addition, each contestant will receive a sleeve of balls and a Global Golf Post towel. Under the plan, all 22 of the finalists at Harding Park GC on March 17 will not have to pay any greens fees to compete in their championship matches. In addition, the winners will be featured in a congratulatory ad in the March 18 edition of Global Golf Post. Founded in 2010, Global Golf Post is the leading golf news brand in the world. The Digital Edition is delivered overnight Sunday, 48 weeks per year, to a global audience of nearly 1.2 million avid golfers. 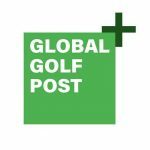 Global Golf Post+ is a subscription platform that delivers original, premium quality golf content that can’t be found anywhere else in an advertising free environment. The San Francisco City Golf Championship, known locally as “The City,” is an annual golf tournament hosted by the City of San Francisco. It is a match play event and boasts one of the largest fields of any tournament in the nation, broken down into five separate divisions: Men’s, Men’s Senior, Men’s Super Senior, Women’s, and Open. U.S. Open Champion Ken Venturi, 1999 U.S. Women’s Open Champion Julie Inkster, and 1969 Masters’ Champion George Archer.